Do You Want Your Bowling Alley More Attractive? If the bowling alley lighting system is attractive to your customers, they will visit it often. In the past, most bowling alleys used fluorescent lights to illuminate the lanes. But now, more and more customers choose to replace traditional lamps with LED lights, an important reason is that LED energy saving 70% and more durable. 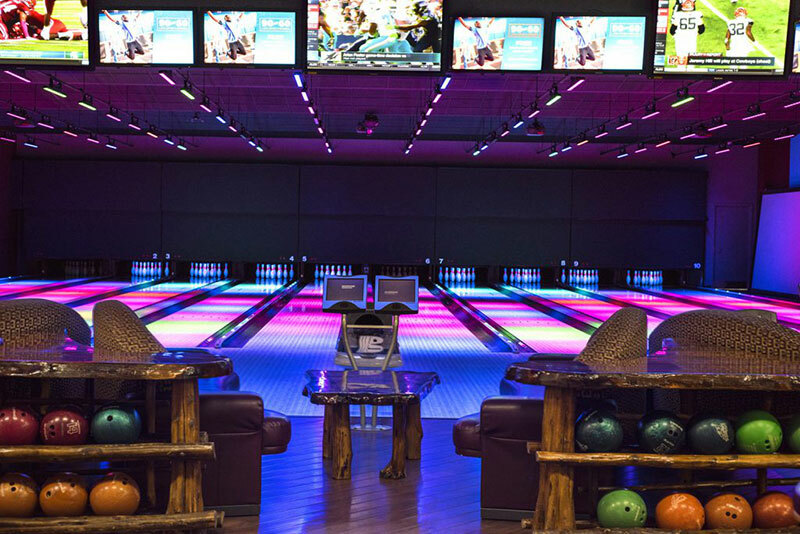 Let's explore how to decorate the bowling alley and bring more customers through lighting! Would you like to add some amazing bend lighting? One gimmick is the use of RGB wall lamps. It's an LED that emits 16 million colors. Ceiling lighting fixtures are operated by software through the DMX 512 system through the appropriate control system. We provide color lighting solution for lanes! Of course, some people may worry about the need for expertise to control color. In fact, just a few clicks of the software can produce amazing results. There is an automatic mode in which the system will randomly change the color of the light. You can also choose from more than 50 built-in modes to select the best lighting design for the venue. Welcome to contact us for free lighting design. 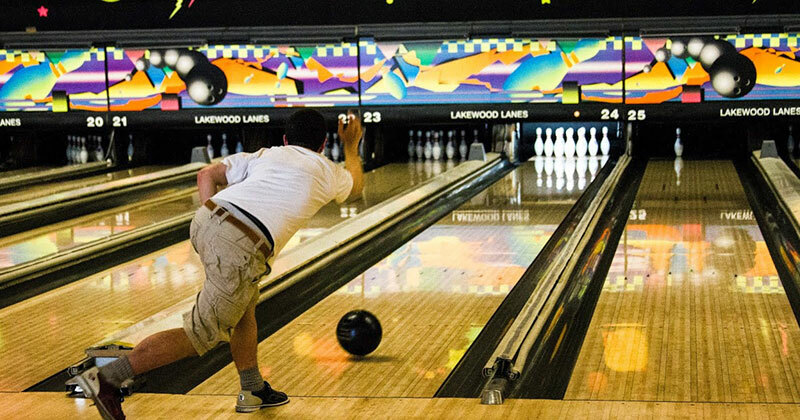 In addition to decorating the lanes, we should make sure visitors have the appropriate lux level to play the game; Otherwise, they won't be able to easily find bowling racks and bottles, which will impact the user experience. By selecting our products, you do not need to purchase and install additional white light, because the above RGB lights can also produce white light! The color of the lamp can be operated within the software. Our engineers will provide you with free tutorials. Contact us today for more information. 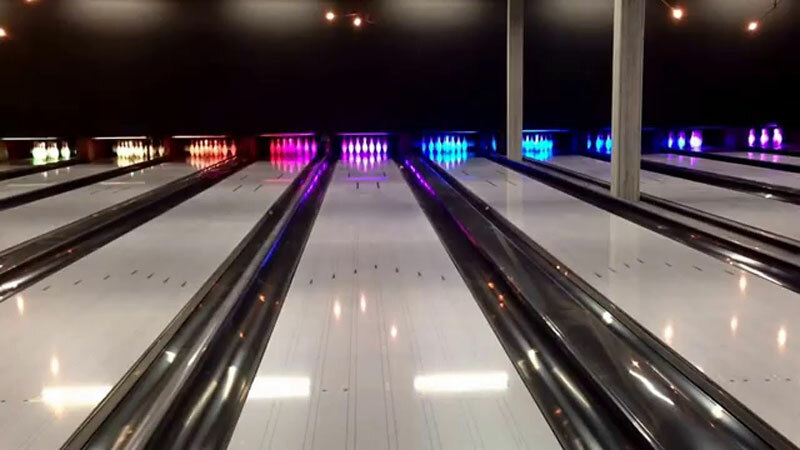 Why are LED lights used in bowling alleys? The glare of the lights greatly affected the user experience, as the glare of the spotlights on the floor irritated the bowlers' eyes. This will greatly affect their performance. In order to overcome it, we developed the anti-glare lighting system, and the light utilization rate reached 95-96%. There are two types of glare, direct glare and secondary glare. Direct glare occurs when you look at a light. Many people believe that avoiding light should be bright enough to illuminate the entire bowling alley is inevitable.In fact, our sport floodlights have a patented anti-glare design that focuses light onto the lanes, greatly reducing glare. Secondary glare is caused by reflective surfaces such as floors. To solve this effectively, we can point a light at the ceiling and then illuminate the area with a reflective beam. However, it is subject to many restrictions, for example: we need high-power lighting, which increases the electricity bill, and it is not suitable for black ceiling, because it absorbs most of the lights. Bowling lighting aims to create a relaxed atmosphere for players. LED lights produce colored light, a perfect replacement for the MH or fluorescent tubes that are most likely to produce the color wall wash effect. Switching to LED lights saves a lot of energy, thus reducing electricity bills. For example, a 100W LED lamp could be modified with a 400W MH or a 1500W incandescent bulb. For the most extreme cases, we can save 80 to 90% of the lighting energy. In addition to saving money, we can also reduce carbon dioxide emissions and toxic chemical treatment, because LED does not contain mercury. If you are interested, have any questions or needs on bowling alley lighting, please feel free to contact us via [email protected], Mecree, high quality LED lights with professional engineer team will help you. We will reply you within 24 hours.